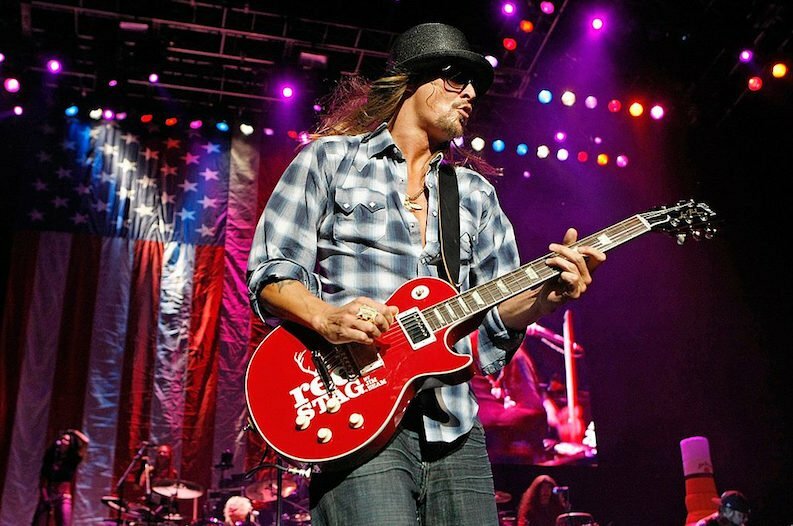 Robert "Kid Rock" Ritchie will soon join country stars like John Rich, Florida Georgia Line, Dierks Bentley, Alan Jackson and Blake Shelton by opening up his own bar/restaurant/music venue along Lower Broadway in Nashville. The rocker who has a deep love for country music is joining Tootsie's owners Al Ross and Steve Smith in this new, yet-to-be-named business venture that will reside at 217-219 Broadway near 3rd Avenue. Ross and Smith are no strangers to the bar and restaurant scene in Nashville. They also own Rippy's, Honky Tonk Central and The Diner in addition to the iconic Tootsie's, which Kid Rock says is one of his favorite places to hang out in his part-time hometown of Nashville. He even married his ex-wife Pamela Anderson there. According to the Tennessean, Ross and Smith purchased the property at 217-219 Broadway back in 2014 when it was known as the Trail West Building. Unfortunately, due to structural and safety issues, the old building had to be torn down. But perhaps it worked out the best for the new Kid Rock-influenced hangout since the new structure will have four-stories with giant windows on each floor, giving every level the ability to feel like it's outdoors and let in the Southern breeze. Each floor of the venue will have a stage for live music, including the rooftop area. And since Kid Rock is heavily involved with the business, he promises to bring rock 'n roll to Nashville along with a good dose of country. In addition to beer and cocktails, Southern-influenced dishes, sliders and steak will be served at the entertainment venue. The American cuisine could have some similarities with Kid Rock's Made, a Detroit (his original hometown) restaurant the musician opened at the Little Caesars Arena in September 2017. His Michigan venture features local ingredients made into classic Detroit meals and his American Badass Lager. Currently, there is no opening date planned for the new Nashville restaurant, but the building itself is set to be finished in about a month.